Dostupné v průběhu listopadu 2016. 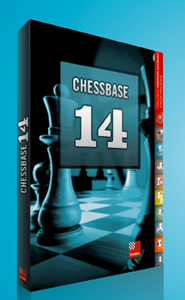 ChessBase 14 is a personal, stand-alone chess database that has become the standard throughout the world. Everyone uses ChessBase, from the World Champion to the amateur next door. It is the program of choice for anyone who loves the game and wants to know more about it. Start your personal success story with ChessBase and enjoy your chess even more. From “A” for analysis to “Z” for zugzwang: there are in the new ChessBase 14 program a whole heap of improvements which make the entry and analysis of games all the more easy, as they do the production of training or practice material. The new function “Assisted Analysis” is an outstanding example: as you enter a game, whenever you click on a piece an evaluation is produced for all its possible target squares and this is highlighted on the board in colour. Thus even before you play it you can see whether there is a better move than the one you planned. This not only makes entering moves easy, but it also invites you to participate in subtle and continuous calculation training. 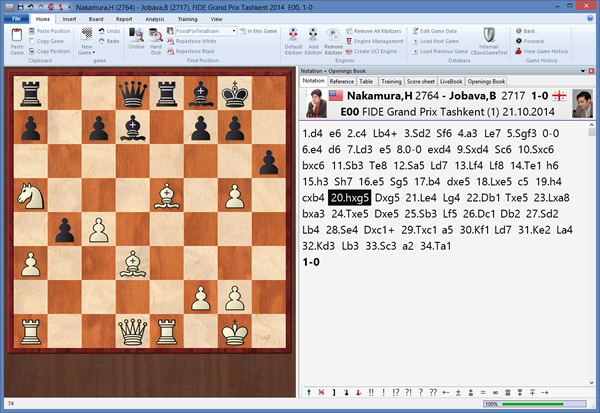 Also new in ChessBase 14 is the access to annotated games in the Live Database. In conjunction with a Premium Account you can even find complete analysis of many topical games from the elite tournaments. And because the Live Database has become more and more important in the search for comparable games, now as you play through a game ChessBase 14 updates the search results automatically on every move. Other improvements: new game notation with diagrams and coloured highlighting in encapsulated variations, one login for all ChessBase servers (playchess, ChessBase Cloud, Let’s Check, ChessBase Accounts), analysis of a whole game with rapid error search, saving of the search mask, export of the diagram list as a Word document produces training material in a jiffy, automatic analysis jobs from correspondence games, simplified production of training questions, the search for similar structures now made interactive, replacing games in big databases considerably speeded up, improved search for doubles, easy use of tool to activate Fritz-Trainer and Engines, and much more. 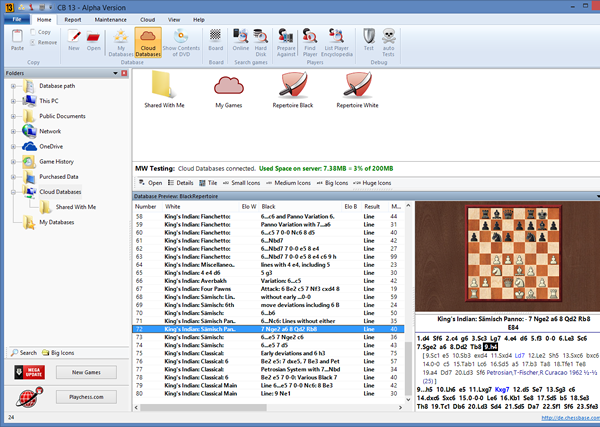 ChessBase Reader 2013 Nový ChessBase Reader pohodlně zobrazí všechny nainstalované databáze a tréninkové tituly..